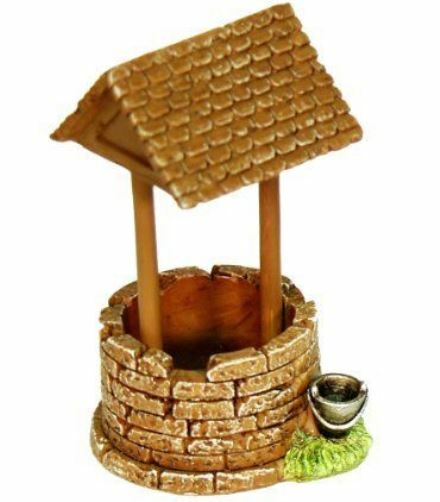 This adorable little well has wonderful etched detail in the roof shingles and the bricks. The over all chocolate brown color looks natural and appropriate. Alongside the well sits a tiny metallic water bucket on top of some green moss. The roof is made to lean just a little, oh so cute! DIMENSIONS: 4" x 2" x 2".